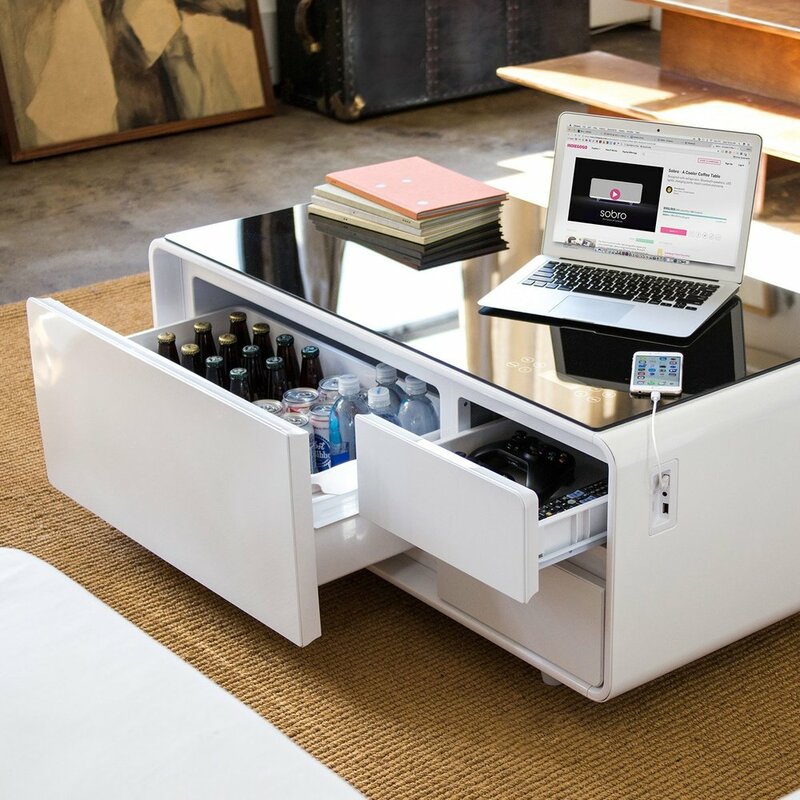 I am beyond excited to announce that I have just ordered the coolest coffee table EVER!! I absolutely must thank my wonderful husband, Cooper, for indulging me with my tech obsession. Despite his thinking that this is a ridiculous coffee table, he understands that these are the things I love tinkering with, reviewing, and writing about. A full unboxing, setup, and review will be recorded once it arrives, so stay tuned. 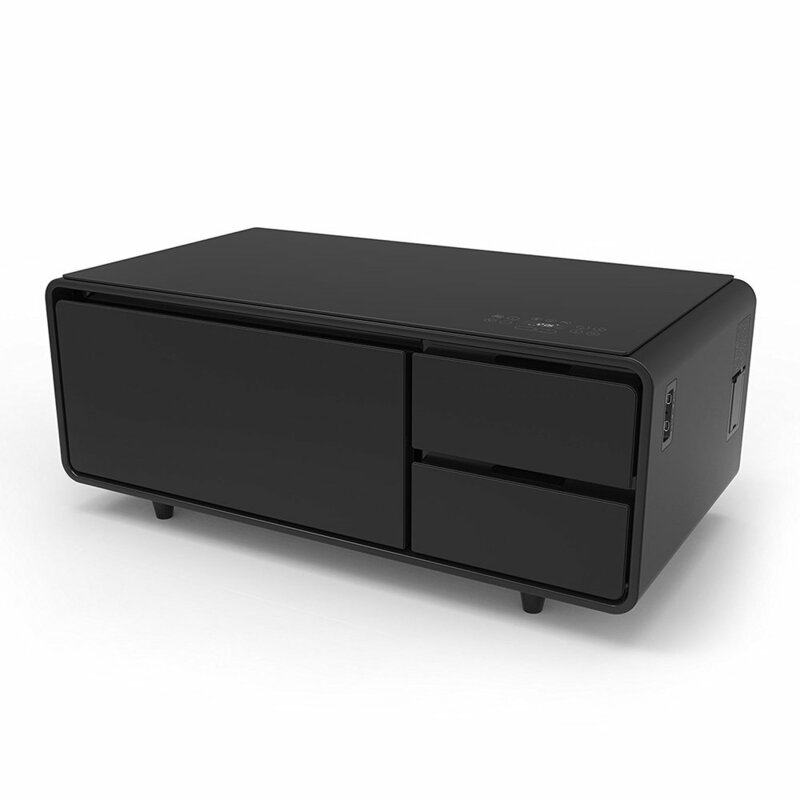 Contains USB ports and electrical outlets to charge all of your devices. Large built-in refrigerator (22x11x7) that keeps your beverages nearby and cold. Temperature is adjustable. Adjustable lighting underneath the table. You can control the colors and much more. Due to the success of the SOBRO Smart Coffee Table, SOBRO has decided to design the SOBRO Smart Side Table, which is currently on IndieGoGo.